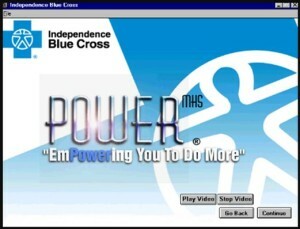 Independence Blue Cross of Philadelphia needed a high-end multi-media presentation to sell employees and management on a new multi-million dollar software package. In addition, they required workshops, job aids and desktop information for employees on this software. Princeton Center, along with one of our Business Alliance Partners, designed, developed and delivered a high-end sales presentation as well as workshops, job aids and desktop knowledge transfer. Allowed the rollout of a very complex system in record time. IBC is still using this technique for software updates and enhancements.